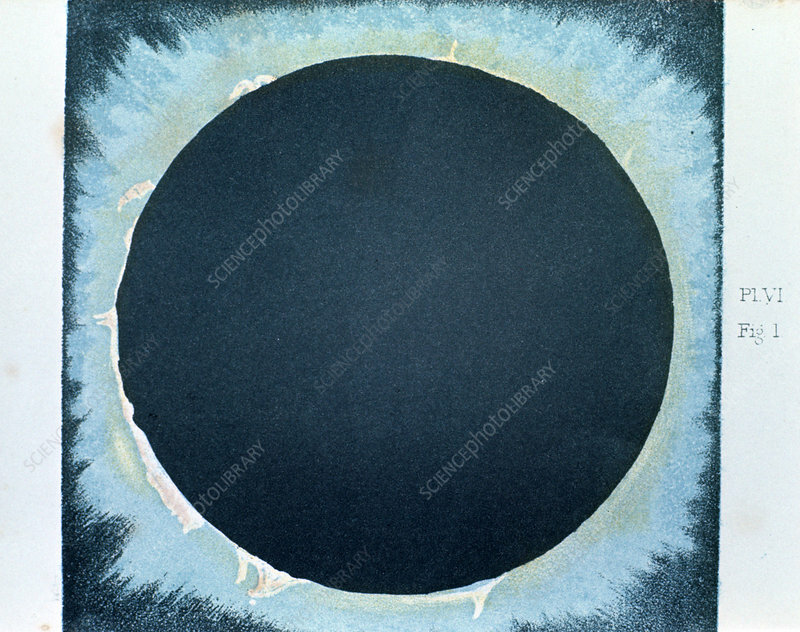 Solar corona and prominences 1870. Observations made by the English astronomer Warren de la Rue (1815-1889) at Rivabellosa in Spain during a total solar eclipse, 18 July 1860. From Le Ciel by Camille Flammarion.